BA in International Business and Finance, Seattle University, graduated 1992. Moving to Brussels, Belgium in 1992, Michael took the initiative to investigate the possibilities of starting Self Storage Business in Europe, after seeing this thriving business in USA. Michael initiated the contacts with Shurgard Storage Centres Inc in Seattle and was involved in all negotiations until the partnership was formed in 1994. The partnership was a joint venture with the aim to build Shurgards presence in Europe, who until then, only had presence in the United States. Michael´s initial responsibility in the partnership was to manage the developments in Belgium. In 1997 he moved to Sweden to start up the business there. When starting up Denmark in 2001 (Shurgards then 6th market), Michael became Managing Director for both Sweden and Denmark. Grana International sold their share of the company to Shurgard in 2004. Michael left Shurgard in 2004/2005. Michael was one of the founders of the Federation of Self Storage in Europe (FEDESSA) and is a board member (www.fedessa.org) as well as the Self Storage Association Sweden (SSAS), and is currently the chairman (www.ssasweden.com). During 2005 Michael invested in Street Car in London as well as Taxi System in Sweden. In 2007 Michael founded SelStor AB, a Swedish Self Storage developer and operator. 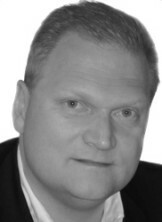 Michael was the Managing Director for the company and developed 8 Self Storage facilities in and around Stockholm. In December 2012 the company was sold to Pelican Self Storage. Michael left the company at the end of October 2013. Master’s degree in Civil Engineering from Chalmers Technical University, Gothenburg, Sweden Business Administration degree, from the University of Gothenburg in Sweden. Åke started his business career as a contractor building highways, tunnels and commercial properties in Sweden. In 1982 he founded his first real estate company investing in real estate projects in Sweden. In a few years the company owned buildings in many cities in Sweden. In 1985 the company, together with 5 Swedish public companies acquired a private corporation with office buildings, hotels and land in Seattle, USA. Åke and his family moved to Seattle to be part of the management and the development of the portfolio. All Swedish holdings and most of the remaining holdings in USA were sold in 1988. Åke and his family moved to Belgium and started Grana International in Brussels. Since 1987 Åke has been working in Grana International as Managing Director and later on as Chairman. Åke has been an active Board member of Shurgard Europe from 1994 until the sale in 2004. Åke was an active board member and investor in SelStor AB from the start in 2007 until the sale in 2012. Degree in Financial and Commercial Science from EHSAL, Brussels, Belgium. Master’s in Finance from Cooremans Business School, Brussels, Belgium. Degrees in taxation and auditing. He is also an alumnus of the EPGC Program of the Stanford Business School, USA, and holds an Executive Master in Finance of the Solvay Business School (Brussels). Patrick assisted the Fogelberg family in the setup of Grana International in 1987, as a tax and law consultant with Loyens & Volkmaars in Brussels. After some years Patrick joined Grana International and was in charge of the consulting and the asset management activities of Grana International and served later on as Managing Director. Patrick has been on the board of Grana International SA since 1989. Patrick Metdepenninghen was together with Michael and Åke Fogelberg involved in the start-up of Shurgard in Europe. Patrick was appointed President for the initial period and remained an Executive Director until late 2003. Being in charge of the financial affairs, he thereby raised 1.6 billion Euros in financing and refinancing. He left Shurgard when it was sold 2004.Patrick has been active as a business angel since 2004, and is actively involved in the BAMS Angels Fund (Belgium). He trades options and FX. Patrick was an active board member and investor in SelStor AB from the start in 2007 till the sale in 2012.